Split System Unit – an outdoor metal cabinet contains the condenser and compressor, and an indoor cabinet contains the evaporator. Packaged Unit – the evaporator, condenser, and compressor are all in one cabinet. This is usually used in small commercial buildings. Deciding whether to use a room air conditioner or a central air conditioning unit? Central air conditioning systems use ducts to distribute cooled air throughout the house or building. They are relatively quiet and convenient to operate. It circulates cool air through a supply pipe and allows warm air to flow back to the return ducts. In extreme humidity, this system also works well with a humidifier. We recommend seasonal checks on these devices. Once a year we have a licensed professional change all filters, clean and flush the coils, drain the pan and drainage system, and vacuum the blower compartments. 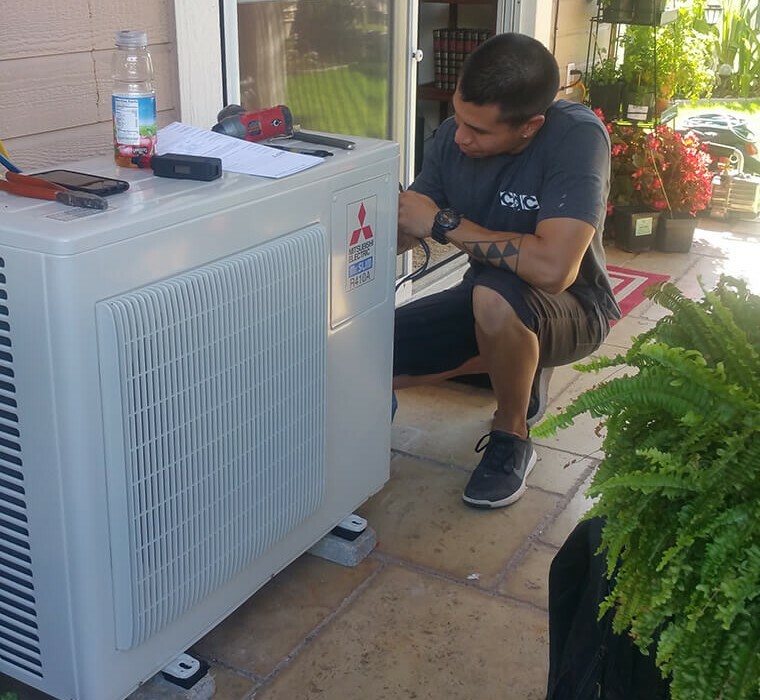 The contractor should also check that the system is properly charged with refrigerant, that there are no leaks, and that all mechanical components are working properly. Prices for servicing varies with make and model of your unit.